Pretty much anyone who's had the opportunity to chat with me for more than 5 minutes is probably already well aware of how much of a fan I am of the art of Skinner. As we began discussing the upcoming C2E2 and it became clear that Skinner was probably going to be a guest, I couldn't help but approach him about the idea of him doing a custom run of one of my figures. skinner was down and it was decided that Skinner would tackle none other than the big bad of The Galaxxorverse, himself, General Gorgax! 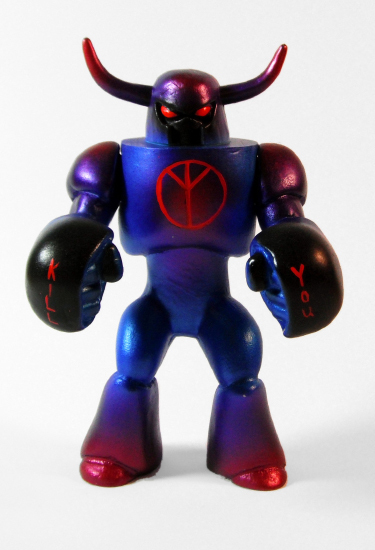 Channeling the only other world crushing cosmic supervillain that could give Gorgax a run for him money, Galactus, Skinner came up with this absolutely stunning colorway for Gorgax, Devourer of Worlds! 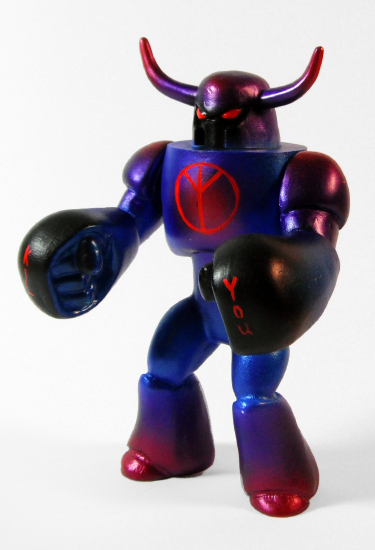 Gorgax, Devourer of Worlds is a 5.5" art toy that features 2 points of articulation (shoulders). 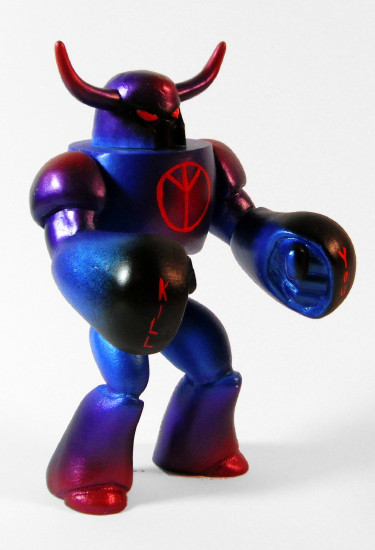 The original was sculpted/designed by Ben Spencer and then engineered/produced in resin by Marty "The Godbeast". Finally it was expertly painted by none other than Skinner, himself! Gorgax, Devourer of Worlds will be $125 each and limited to an edition of 3. They will be exclusively available at Skinner's Critical Hit booth #965 (right next ti Nerd City!) at C2E2, on Saturday, April 27th, at noon. Having had such an overwhelmingly great reaction to the NYCC exclusive Galaxxor 010, we always knew that we had to do another version of the figure sporting that expertly designed head by Onell Design's Matt Doughty. 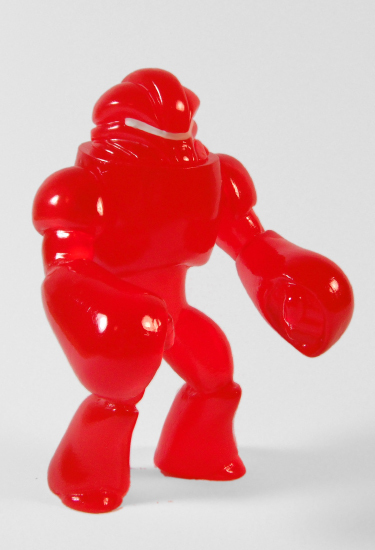 Marty "The Godbeast" Hansen and I knew that it looked like he was going to be bringing back his iconic translucent red Infection colorway at C2E2 this year with a batch of Mini Galaxxors, various Armorvor head and an exclusive launch of Infection red production Glyos Armorvors. It only made sense that the Infection should spread to Galaxxor! 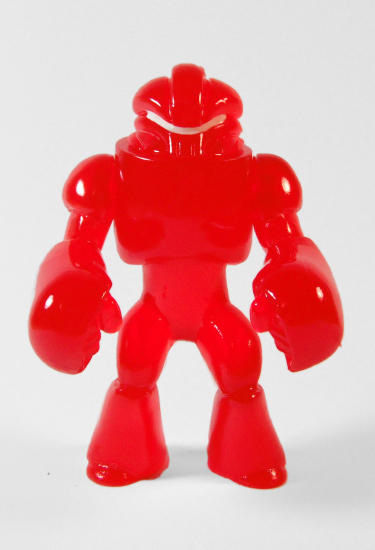 Infection Galaxxor is a 5.5" art toy that features 3 points of articulation (shoulders and neck). The body was sculpted/designed by Ben Spencer and the head was sculpted/designed by Matt Doughty. 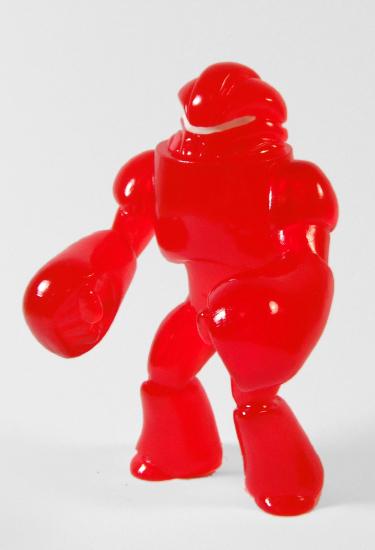 The figure was cast in translucent Infection red resin by Marty "The Godbeast" Hansen and painted by Ben Spencer. 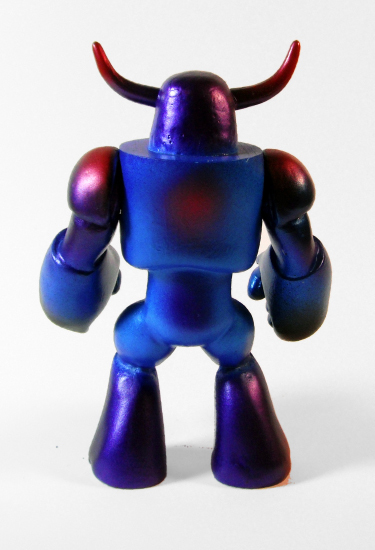 Infection Galaxxor will be $125 each and limited to an edition of 10. 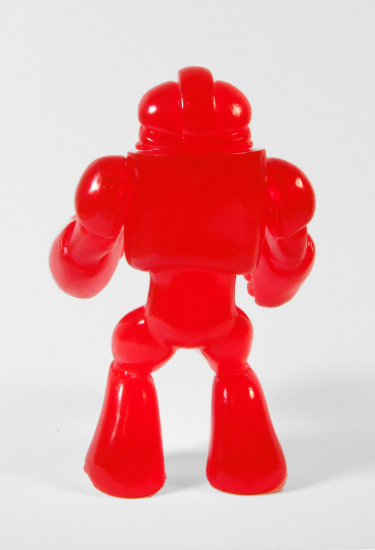 The figure will be exclusively available at Nerd city's booth #967 at C2E2, April 26-28th. I'm truly honored to continue to get the opportunity to collaborate with dudes like Matt and Marty. The work that those guys do in their own creative universes is truly inspirational stuff, and they sure have made my humble little creation look a little bit sweeter!